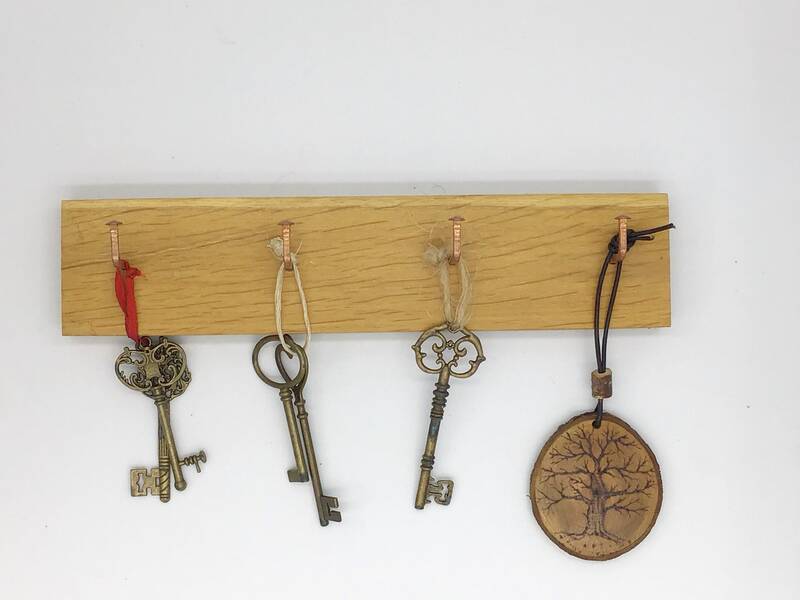 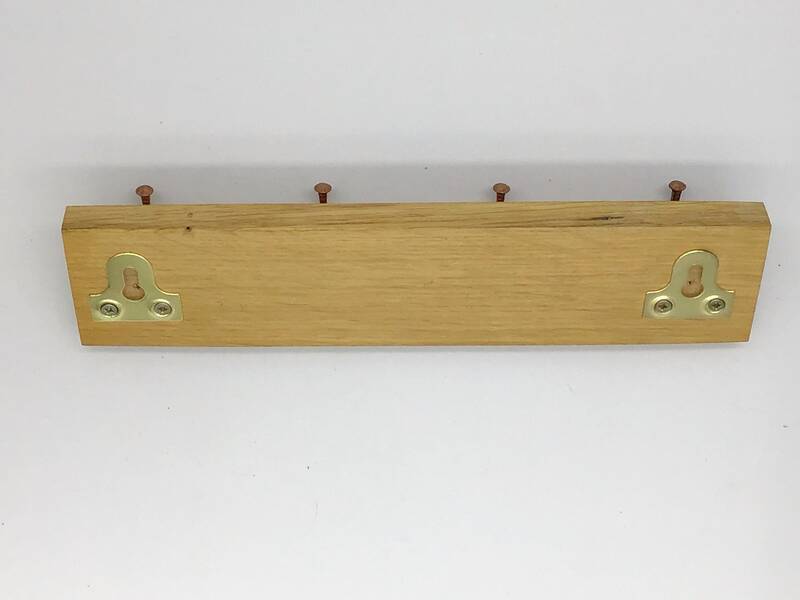 Key rack / Key hooks / Wall pegs / Natural, rustic entryway decor. 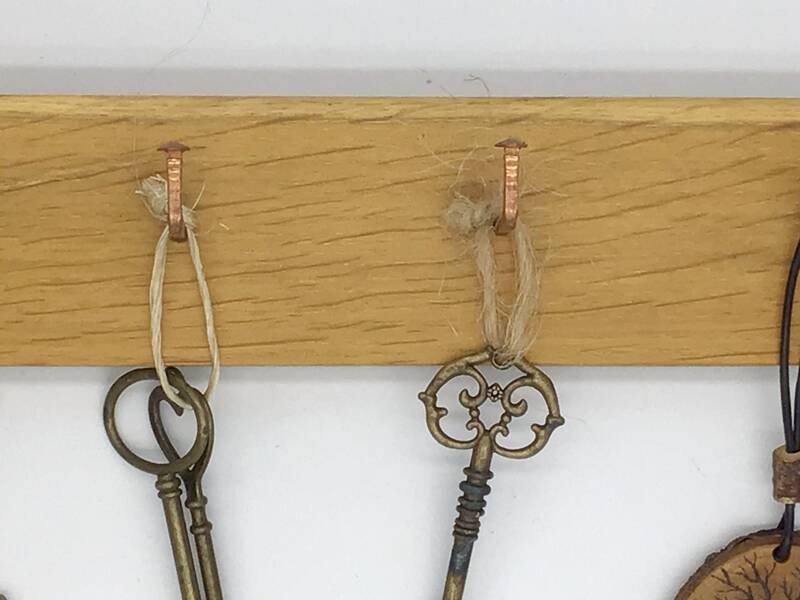 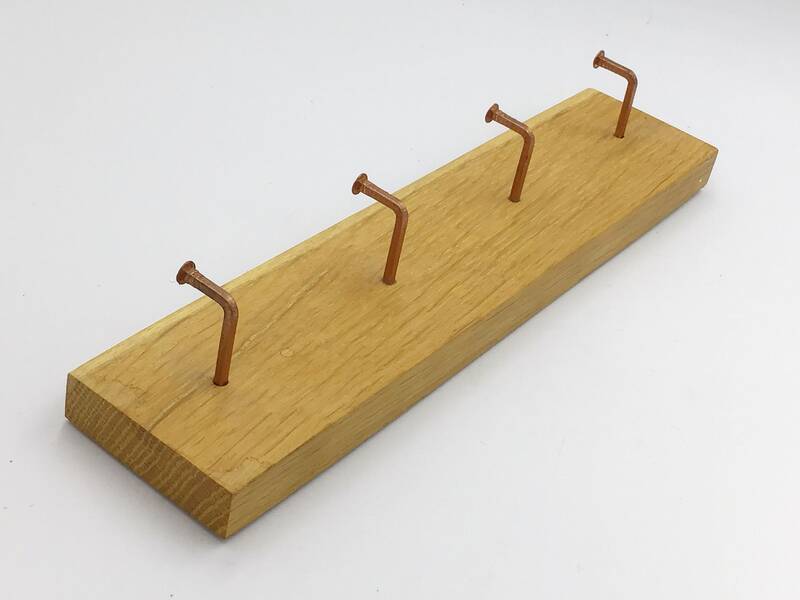 The hooks are made from pretty little copper nails with decorative heads. 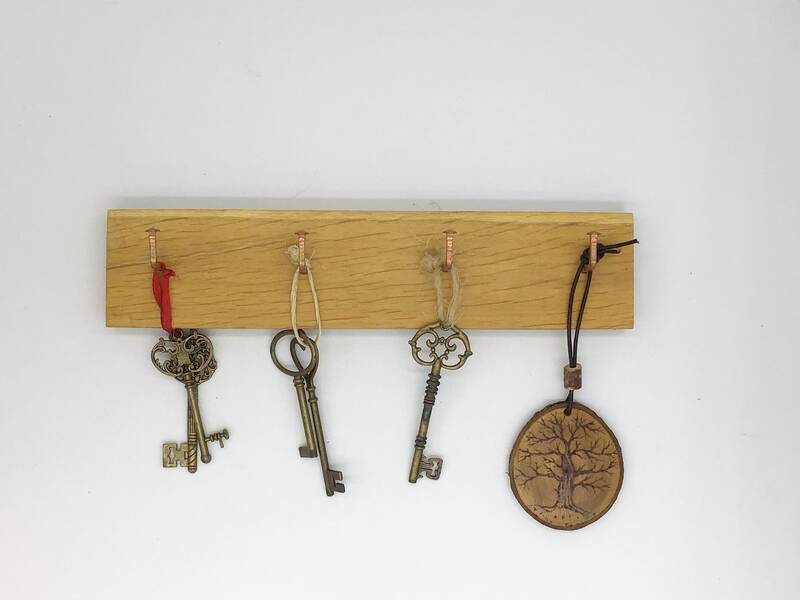 Strength wise we are very confident that they will hold most things that you are likely to want to hang from them. 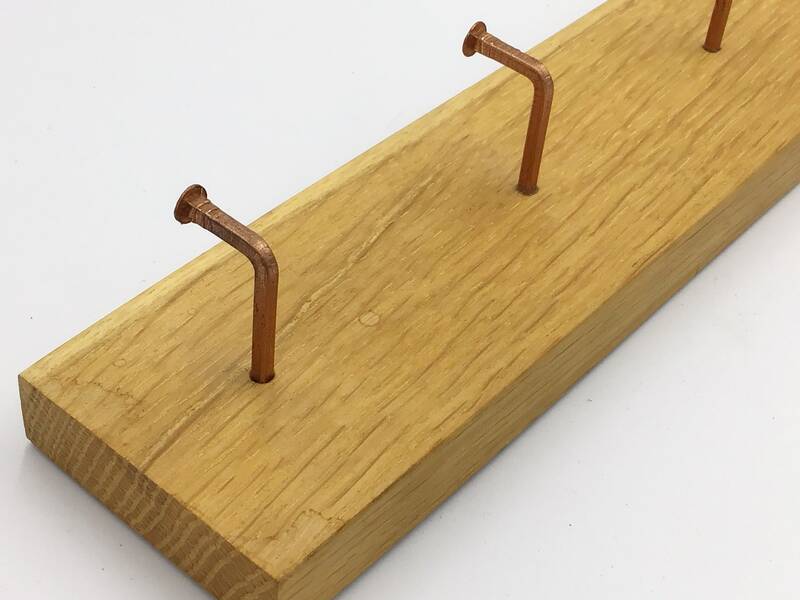 When we make them we drill a suitable pilot hole to a depth just short of the plaque depth, this ensures that the nail is in as far as it can go, the nails are then hand bent and a very strong glue is added to the nail before it is tapped into place, although this is probably not required, as they are very secure without it, we feel it just makes sure that the hook will not come loose in use. 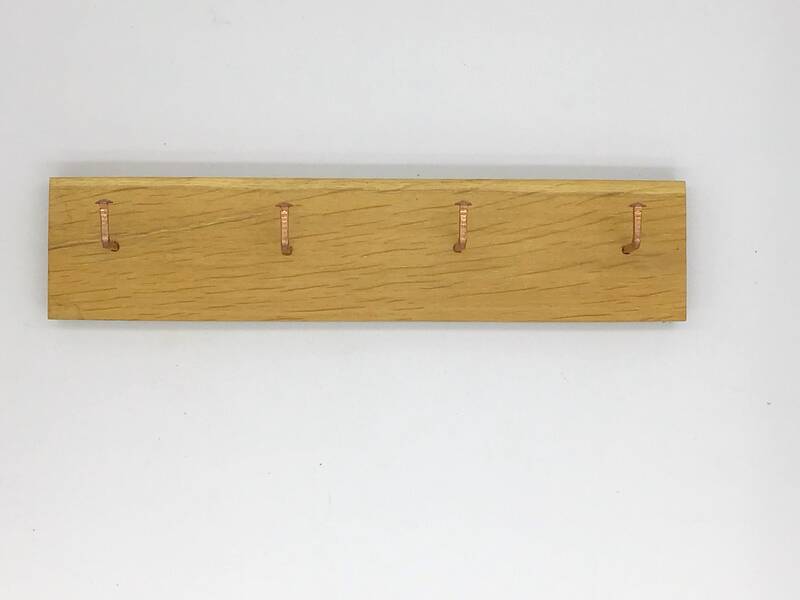 There are 2 brass plated hanging wall mounting brackets on the reverse of the item which means that you can mount it directly onto the wall.